In Vietnam, today is called Liberation Day and the government staged a parade down the former Reunification Boulevard that featured tank replicas and goose-stepping soldiers in white uniforms. Some 50,000 party cadres, army veterans and laborers gathered for the spectacle, many carrying red and gold Vietnamese flags and portraits of Ho Chi Minh, the father of Vietnam’s revolution. In a reminder of how the Communist Party retains a strong grip on the flow of information despite the opening of the economy, foreign journalists were forbidden from conducting interviews along the parade route. The area was sealed off from ordinary citizens, apparently due to security concerns. The photos below offer a look back at the Vietnam War from the escalation of U.S. involvement in the early 1960′s to the Fall of Saigon in 1975. Today, every piece of currency in Vietnam holds a picture of Ho Chi Minh, as he is now known — and unknown. Saint Ho, the man who sacrificed his life for the liberation of his people, is the official story. Anything else remains a mystery. Publications that portray the great leader as anything other than celibate are banned in Vietnam. Still, thanks to William J. Duiker’s authoritative 2001 biography, we know Ho Chi Minh married in China and fathered at least one child. Living in exile in Paris since 2006, Duong Thu Huong — who is Vietnam’s greatest living novelist, and with her 1993 novel “Paradise of the Blind,” the first Vietnamese novelist to be translated into English — no longer faces this level of censorship on her doorstep. “Zenith,” her sweeping new novel, bravely imagines the final months of Ho Chi Minh’s life. It is the “Doctor Zhivago” of Vietnam, a book that explodes the sacred pieties of a Communist revolution by looking at the cost that revolution exacted on individual lives and romances. The book begins with an unnamed Vietnamese leader living under heavy protection in mountain fastnesses, losing control over his government. He is wracked with guilt over a child he left behind, longing for the woman he had to forsake. At age 60, the novel’s protagonist fell passionately in love with a much younger woman. They married and had a child. The politburo, eager to preserve his image of elderly chaste leader, blocks him from making the union public. The president capitulates, and in the wake of his concession his wife is tortured, raped, and finally murdered. The American war begins, and the leader must retreat into the mountains, where his only companions are bodyguards and Buddhist nuns. He has long moments of silence to contemplate what feels like not just a betrayal of the heart, but one of his nation, too. This sounds like a rather tabloid set-up, but Duong is a most untabloid writer. Her sentences, rendered here into English by Stephen B. Young and Hoa Pham Young, are rich and lyrical. And she uses the fracture between Ho’s legend and Ho’s life to unfurl a vast and moving story about a nation liberated from colonialism only to be bound to an inhuman ideology, one that stripped even its heralded leader of his flesh and blood. Told in five long sections, the book oscillates between the story of the leader and his final days, and that of a friend and comrade, named Vu, whose wife adopts the leader’s child and raises him as her son. Vu is a loyal ally to the man at the summit of their nation, but, like him, he has begun to question whether the revolution has turned sour. In two other parallel stories we meet Quang, an elderly woodcutter whose life exemplifies the village particulars the great leader wanted to protect from colonial destruction. Quang, too, fell in love with a much younger woman, but unlike the president, he persuaded those around him to accept their romance. This section of the novel, “The Story of Woodcutters’ Hamlet,” is told in a folkloric register, rich in earthy imagery. Finally, in the book’s fourth part, “The Unknown Brother-in-Law,” there is An, the brother-in-law of the president’s wife. Unfolding primarily at military barracks and during the war with the French, and finally during An’s flight into Laos for safety, this part of the novel feels the most modern. Like Ha Jin’s “Under the Red Flag,” it takes a merciless look at the corruption of war and power on Party leaders. As with so many novels written by ex-Communists, there can be a stolidity to “Zenith.” We are not in the land of the close-third person narration, irony, or filmic set pieces. When Duong gives us a glimpse inside someone’s mind or heart, it tends to be through a fully punctuated internal monologue. There is absolutely no frisson of doubt about authorial access, and when there is humor, it tends to be blackly sarcastic. And yet, “Zenith” can also be a stirringly poetic novel. It’s a book full of men in love with beautiful women, and it extrapolates these relationships onto a grand scale. Here are men and women in love with a beautiful country. And yet the political system they have created strips all the romance and transcendence out of that love, leaving the worst parts: envy, covetousness, and destruction. Duong’s novels have always been lush, saturated in the memory of a fallen paradise. “Novel Without a Name,” Duong’s most successful and popular book, proved Vietnamese soldiers were as haunted by the war as their American counterparts. When Quan, that book’s hero, attempts to retreat into memories for relief, he finds a world of pain. “We never forget anything, never lose anything, never exchange anything, never undo what has been done,” he laments. 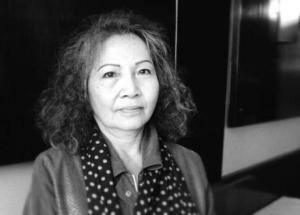 Duong is a well-known dissident in Vietnam, but she has not always been so. She was born in 1947 in a northern province of Vietnam. Her mother was a teacher, her father a Communist Party loyalist who had fought the French with Ho’s guerrillas. At 20, she volunteered to lead a women’s youth brigade to the front. She spent seven years in the tunnels with troops — tending to them, performing theater for them. She lost all her hearing in one ear, when a bomb exploded next to her; her first love was killed. Just a handful from her volunteer group survived. Her early artistic work was often patriotic. In 1979, when China attacked Vietnam, she wrote anti-Chinese tracts and traveled to the front to make films about the northern frontier battles. This sacrifice did not earn her a free voice, however. The outspoken critiques Duong made of the difference between conditions in the north and south turned life difficult for her. She was expelled from the Communist Party in 1989. In 1991 she was arrested and held in solitary confinement. The French government and Amnesty International helped raise awareness to get her freed, but it could not undo the ban that has remained on her work since then. In the past decade Duong’s books have become ever more shrouded in a fog of melancholy. “The Zenith” is a backward glance, steeped in anguished. On nearly every page Duong stutter-steps a simile, as if everything described is glimpsed with a refractory squint. “The Zenith” is not a book to be read quickly. If you have the patience to penetrate its willfully unrushed opening pages, however, to stomach the occasionally stilted dialogue, this is a mountain of a book. A gentle book that looks down on the Communist experiment in Vietnam from a lofty height and attempts to return it to human scale. Remarkably, it succeeds, especially in its portrait of the country’s leader. “His heart is like an abandoned house,” Duong writes early in the novel, at the foot of this book’s long climb. “[W]here the wind freely and playfully blows, chasing the residing ghosts.” For 500 pages, Duong keeps their undead spirits miraculously aloft. The basic argument of the book is that Ho Chi Minh was a figurehead and that the war was run by “the Comrades Le.” In 1967, opposition inside the Communist Party to the planned Tet Offensive was so pronounced that there was a series of purges and arrests, including generals allied with General Giap. “The alleged traitors were imprisoned in central Hanoi at Hoa Lo, known to Americans as the ‘Hanoi Hilton. '” Giap himself was pushed in a kind of temporary self-exile. 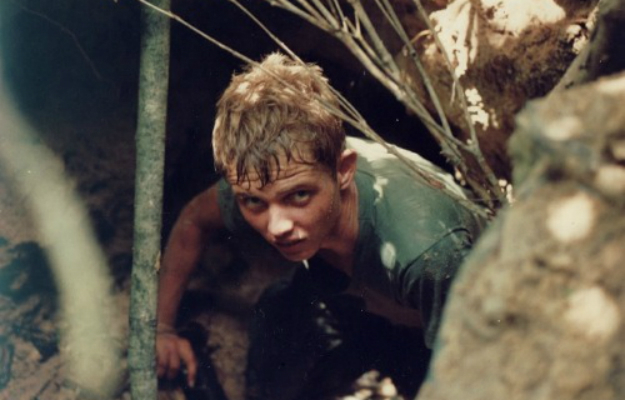 The focus of participants to post-American Vietnam began to shift surprisingly early. 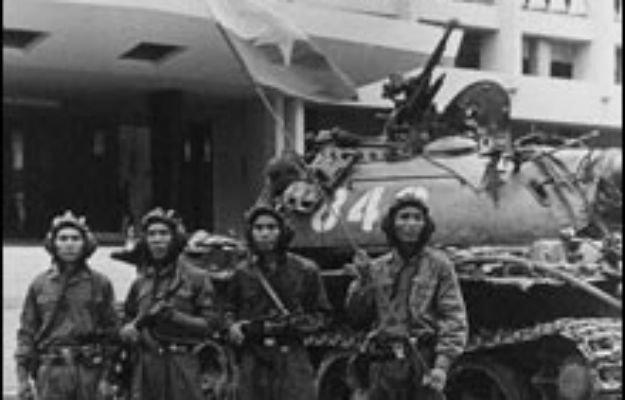 In 1970, Hanoi already was beginning to fear that China would dominate postwar Indochina. Meanwhile, in Cambodia, not long afterward, Pol Pot began killing off his Hanoi-trained cadres. Nor did I know that Hanoi was very upset and worried by Nixon’s 1972 visit to Beijing. And with good reason: That year, both Beijing and Moscow began cutting their military aid to the North Vietnamese. All in all, it reminded me of Piers Mackesy’s classic The War for America, which shows us the American revolution through the eyes of the British government.